In another beautiful but heart-wrenching story by Katherine Applegate, Jackson narrates his struggles, fears, successes in life, including his experiences with his imaginary friend Crenshaw, the surfboarding cat. Jackson’s parents are unable to pay the rent again and Jackson is faced with the reality of homelessness for the second time in his short life. According to ISBE, in the 2015-2016 school year, there were 53,733 homeless students in Illinois. These students are in all of our schools. 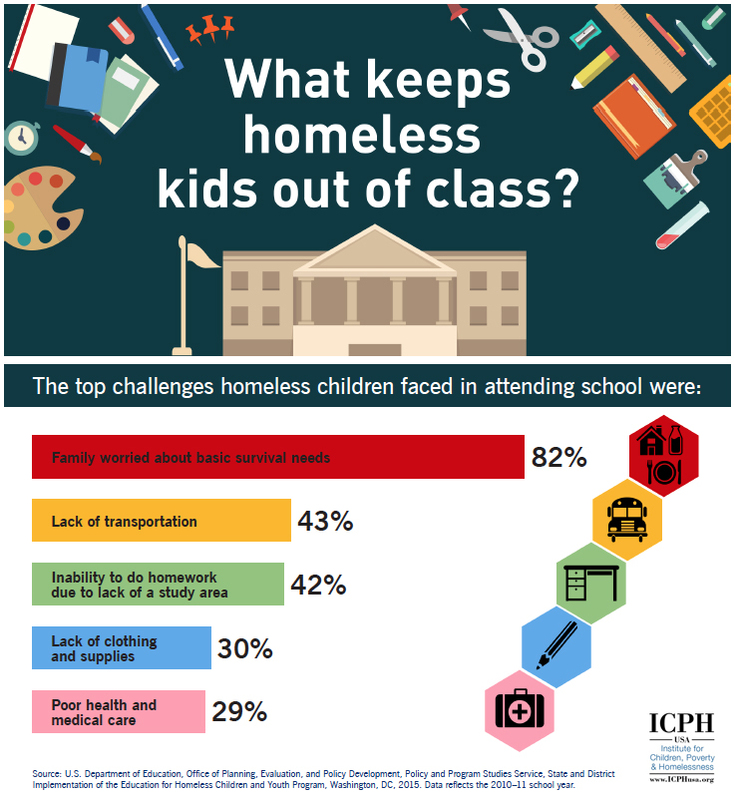 For this primary source pairing, invite students to study the infographic focusing on the challenges homeless students face and how it can impact their academics. What do you still wonder about? How does the information in this infographic connect to the experiences Jackson and his family have in the book Crenshaw?